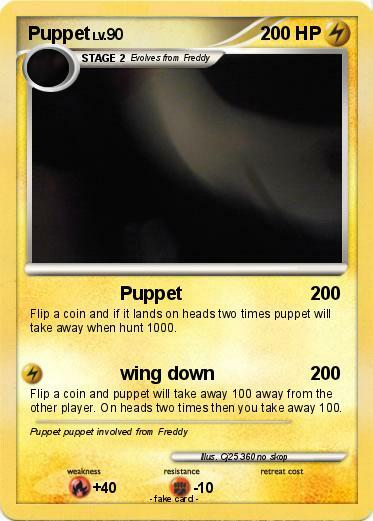 Flip a coin and if it lands on heads two times puppet will take away when hunt 1000. Flip a coin and puppet will take away 100 away from the other player. On heads two times then you take away 100.